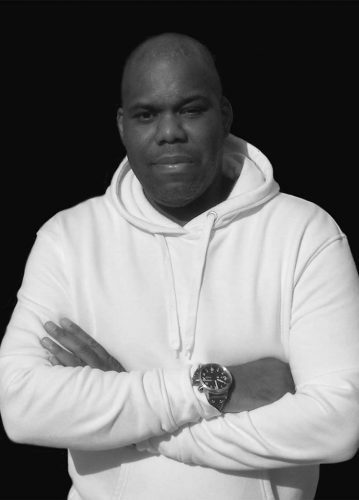 DJ, Producer, Recording Engineer and Label owner Gino Windster was born on the 14th of March 1972 on the tropical island of Curacao, Dutch Caribbean. At the age of 8 his toys were cassette decks, old stereo sets and turntables without pitch control. At the age of 12 he started taking guitar lessons. Not even 2 years later the serious DJ jobs began. His musical styles at that time were disco, hip hop and pop. He was influenced by the ones like Craftwerk, Depeche mode, Bomb da Bass, Hithouse and Ben Liebrand With his own drive-in disco show he played on a variety of clubs and party’s on his native island. He also did some minor productions as well as a numerous live mixing for a diversity of live bands and festivals. In the 90’s at the age of 19 he discovered a new style of music which was taking over the world, HOUSE MUSIC. He immediately fell in deep love with this kind music. The kick drum, rolling bases and hypnotic sounds felt like heaven to him. After finishing his senior secondary vocational education in Curacao, Gino then 21, immigrated to the Netherlands in 1993 with one goal in mind, to become a professional at his craft. He studied Recording Engineer at the AIA (Audio Institute of America) academy of San Francisco CA. As a producer Gino is able to produces a lot of styles, not only dance music but also pop music. Gino also works with different artist from a variety of other genres to create new vibe in his dance music productions. He also is the driving force behind the event organization and record label Specktrem which was founded in 2017. Gino Windster has performed in clubs like Pacha, Space, Mondial, La Rocca and countries like, Spain, USA, Germany, Belgium, Curacao, Bonaire just to name a few. From this you can derive that he truly is an international rising star. The style of electronic dance music Gino Windster plays can hardly be categorized, let’s just call it quality underground house music with a lot of energy and drive.